25912 "Tamworth Castle" is recessed in platform 1A at Rhyl, 47333 is on an empty ballast train - 1st September 1986. 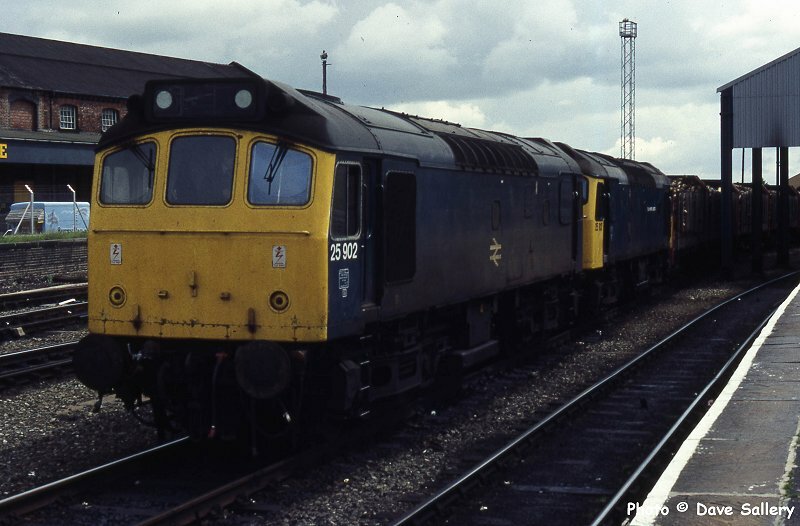 25902 and 912 are on a log train to Shotton Paper at Chester - 4th June 1986. 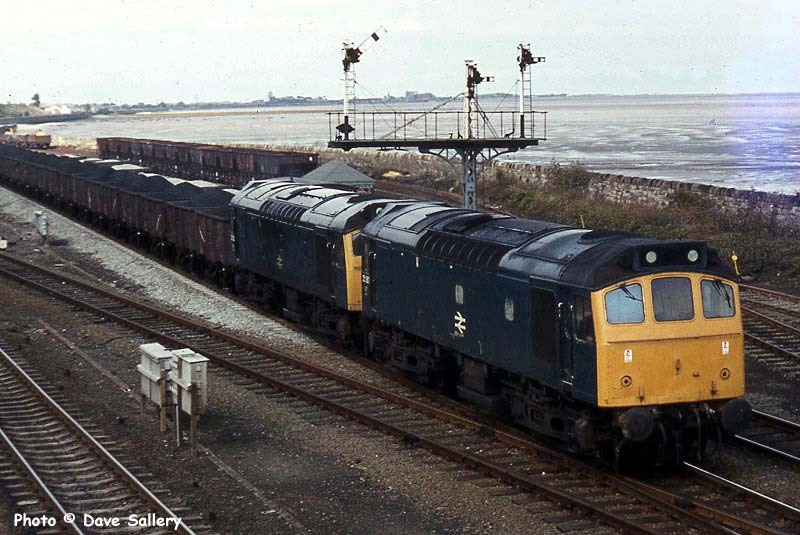 25267 and 25322 head a coal train from Point of Ayr to ICI Northwich through Mostyn on 27th October 1980. This was one of the last traditional coal trains to run before MGR working started. 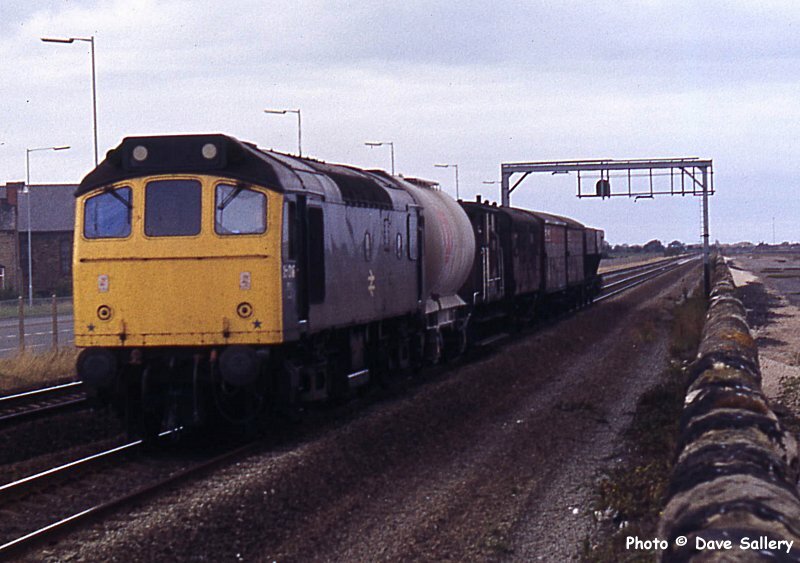 25316 passes Ffynnongroew with a mixed selection of wagons bound for Warrington Arpley, 23rd September 1985. 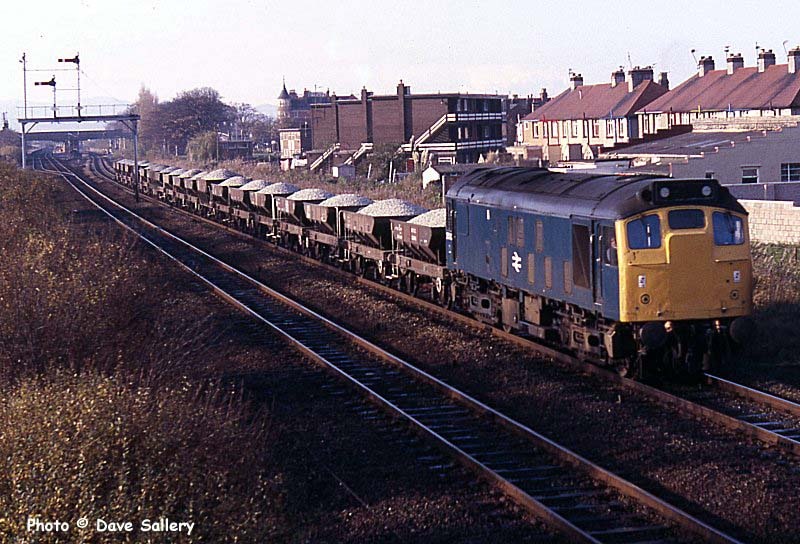 25042 hauls an up ballast train near Prestatyn station, 15th November 1984. 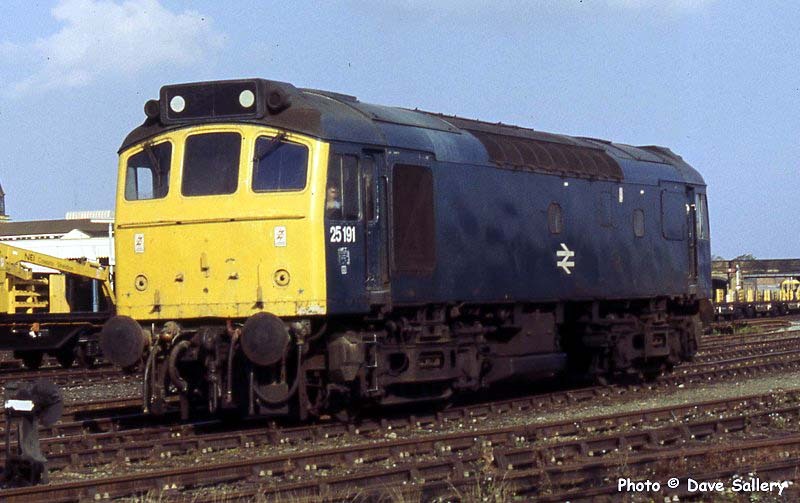 Class 25 No. 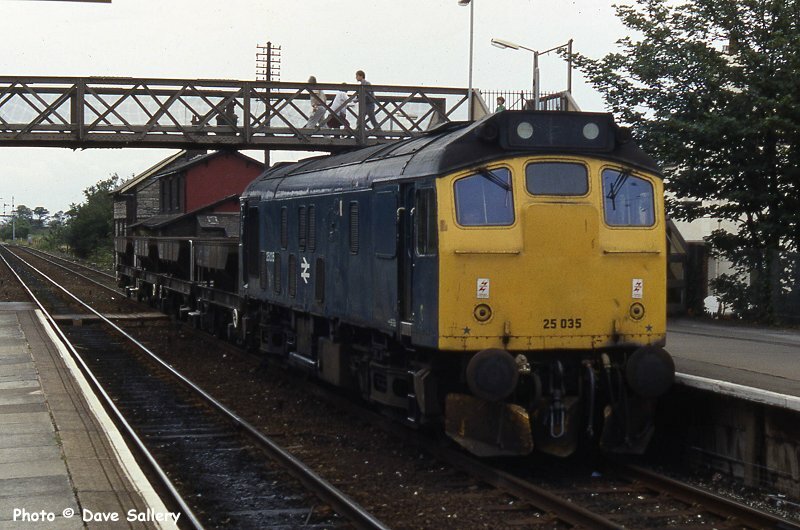 25035 waits under the old footbridge at Prestatyn on a short engineers train on Sunday 3 August 1986. The train is standing on the down slow line which extended as far as Rhyl. The reason for retaining this section of track was to assist train working on summer saturdays and to permit access to the down platform at Rhyl after Rhyl No. 1 box closed for the night at 22.00. For this reason the last two down passenger trains used the slow line from Prestatyn to Rhyl. The slow line and all points in Prestatyn were removed in 1992 when Rhyl was remodelled and Rhyl No. 2 box taken out of use. The footbridge shown was replaced by another, this one is now (03-11) being replaced by another one, this time incorporating a lift. 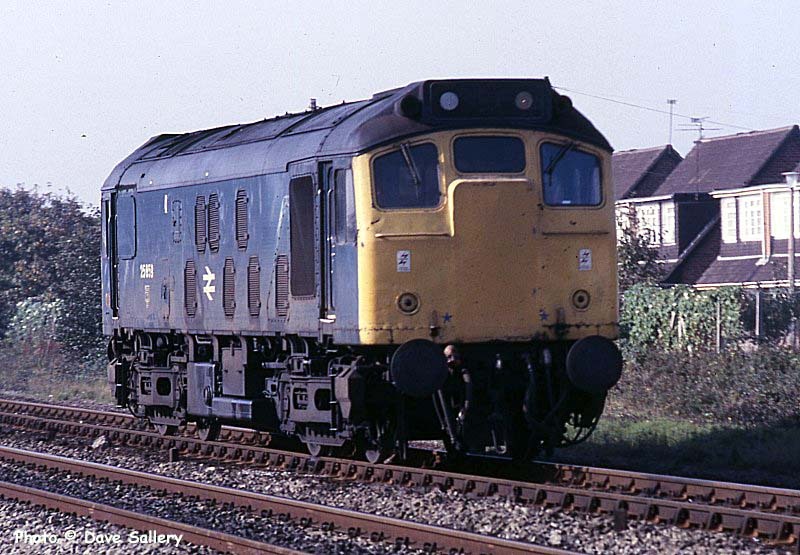 25059, up light engine at Prestatyn - 16th October 1984. 25224 is at No. 3 platform in Rhyl on an engineers inspection saloon on October 24th 1983. This loco was one of a small batch allocated to Crewe fitted with steam heating facilities. 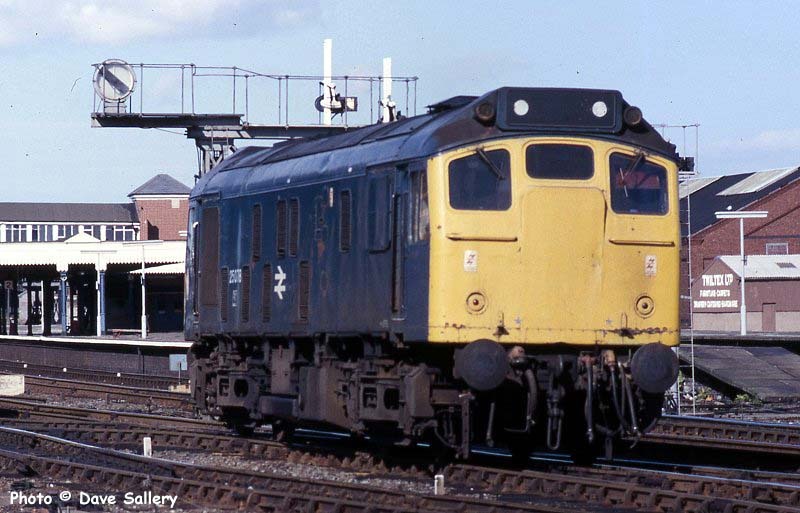 They were primarily used on the Crewe - Cardiff service but came in handy for jobs like this one. Evidence that the steam heat is in operation is provided by the tell tale cloud emitting from about a third along the inspection coach. Class 25 No. 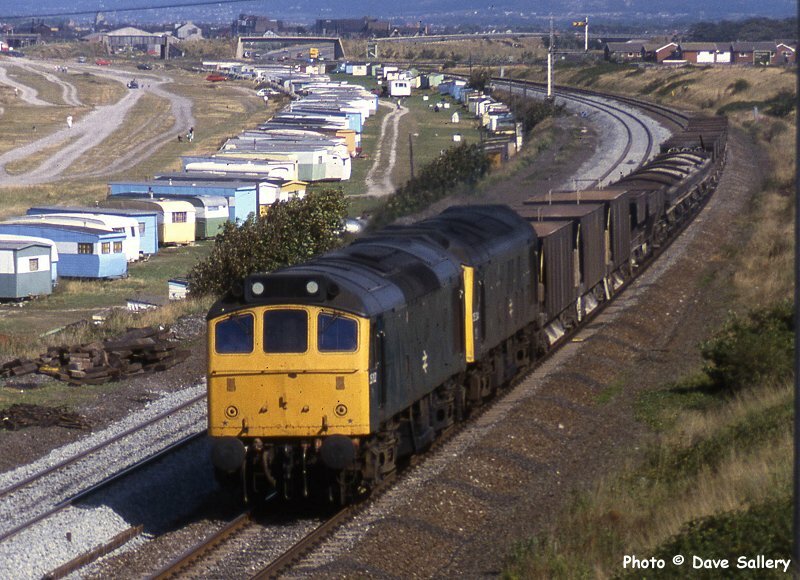 25191 idles a Sunday afternoon away in Rhyl yard after permanent way duties - 12 October 1986. Where the loco is standing is now part of the Home Bargains car park. The rest of the once extensive goods and carriage sidings area is Morrisons supermarket. 25078 on the up fast through Rhyl, 27th July 1985. 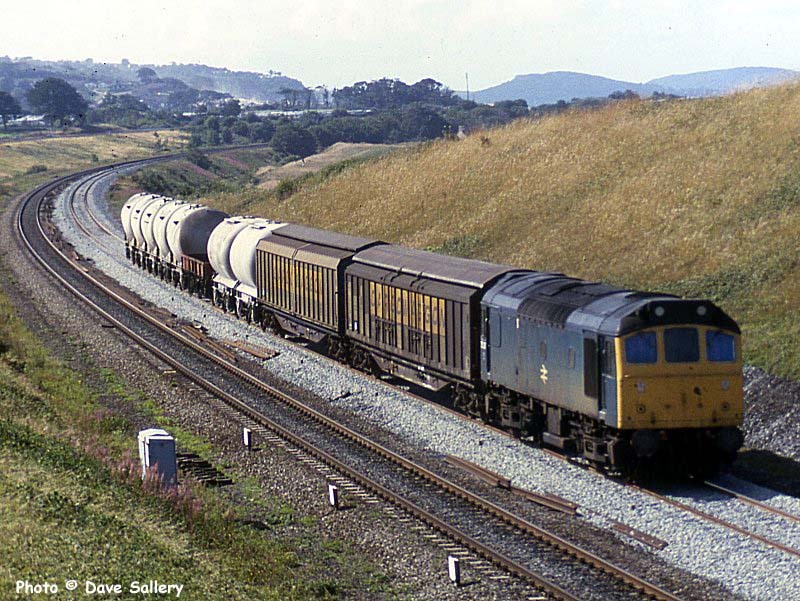 A pair of long withdrawn Class 25's head west near Abergele on ballast empties for the quarry at Penmaenmawr. 25182 and 25224 pass on August 31st 1984. 25297 on the Speedlink service to Warrington - Middle Gates, near Abergele, 31-8-1984. 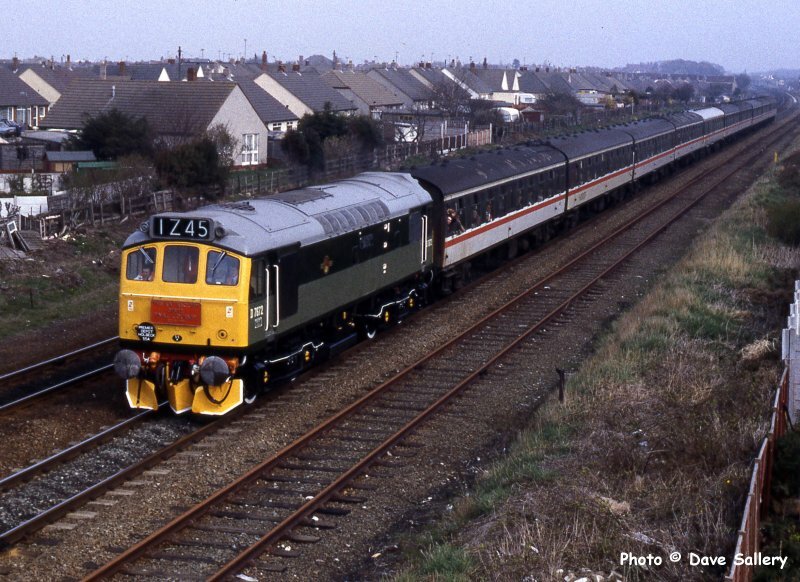 On the last public run of a Class 25, D7672 "Tamworth Castle" is seen passing Prestatyn en route to Holyhead on March 30th 1991.